1. Jorg B, Kerl H, Thiers BH, Brocker EB, Burg G. Therapeutic approaches in cutaneous lymphoma. Dermatol Clin 1994; 12:433-441. 2. Duvic M. Current treatment of cutaneous T-cell lymphoma. Dermatol Online J 2001; 7:3. 3. Tuyp E, Burgoyne A, Aitchison T, MacKie R. A case-control study of possible causative factors in mycosis fungoides. Arch Dermatol 1987; 123:196-200. Figure 1 Stepwise approach of diagnosis in cutaneous lymphomas. 4. Whittemore AS, Holly EA, Lee IM, Abel EA, Adams RM, Nickoloff BJ, Bley L, Peters JM, Gibney C. Mycosis fungoides in relation to environmental exposures and immune response: a case-control study. J Natl Cancer Inst 1989; 81:1560-1567. 5. Wood GS, Salvekar A, Schaffer J, Crooks CF, Henghold W, Fivenson DP, Kim YH, Smoller BR. Evidence against a role for human T-cell lymphotrophic virus type I (HTLV-I) in the pathogenesis of American cutaneous T-cell lymphoma. J Invest Dermatol 1996; 107:301-307. 6. Olsen EA, Delzell E, Jegasothy BV. Second malignancies in cutaneous T cell lymphoma. J Am Acad Dermatol 1984. 7. Kantor AF, Curtis RE, Vonderheid EC, van Scott EJ, Fraumeni JJ. Risk of second malignancy after cutaneous T-cell lymphoma. Cancer 1989; 63:1612-1615. 8. 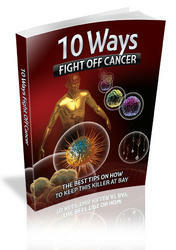 Burg G, Kempf W, Heaeffner AC, Nestle FO, Hess Schmid M, Doebbeling U, Mueller B, Dummer R. Cutaneous lymphomas. Curr Problems Dermatol 1997; 9:137-204. 9. van Doorn R, Van Haselen CW, van Voorst Vader PC, Geerts ML, Heule F, de Rie M, Steijlen PM, Dekker SK, van Vloten WA, Willemze R. Mycosis fungoides: disease evolution and prognosis of 309 Dutch patients. Arch Dermatol 2000; 136:504-510. 10. Scarisbrick JJ, Whittaker S, Evans AV, Fraser-Andrews EA, Child FJ, Dean A, Russell-Jones R. Prognostic significance of tumor burden in the blood of patients with erythrodermic primary cutaneous T-cell lymphoma. Blood 2001; 97:624-630. 11. Koh HK, Charif M, Weinstock MA. 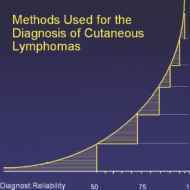 Epidemiology and clinical manifestations of cutaneous T-cell lymphoma. Hematol Oncol Clin North Am 1995; 9:943-960. 12. Burg G, Braun-Falco O. Cutaneous Lymphomas, Pseudolymphomas, and Related Disorders. Berlin, Heidelberg, New York, Tokyo: Springer, 1983. 13. Vonderheid EC, Zhang Q, Lessin SR, Polansky M, Abrams JT, Bigler RD, Wasik MA. Use of serum soluble interleukin-2 receptor levels to monitor the progression of cutaneous T-cell lymphoma. J Am Acad Dermatol 1998; 38:207-220. 14. Maeda K, Jimbow K, Takahashi M. Association of vesiculobullous eruptions with mycosis fungoides. 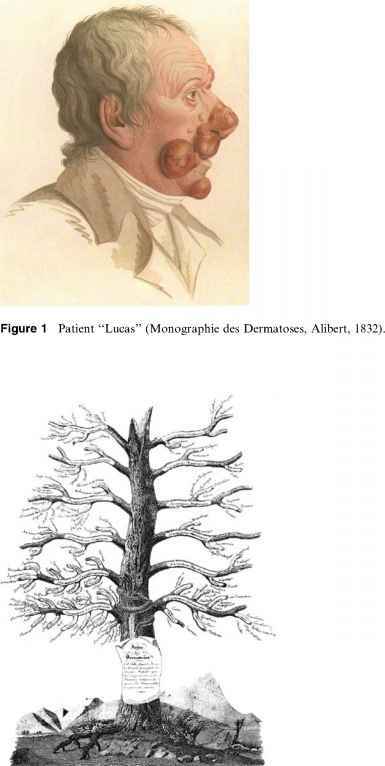 Dermatologica 1987; 174:34-38. 15. Lacour JP, Castanet J, Perrin C, Ortonne JP. Follicular mycosis fungoides. a clinical and histologic variant of cutaneous T-cell lymphoma: report of two cases. J Am Acad Dermatol 1993. 16. Goldenhersh MA, Zlotogorski A, Rosenmann E. Follicular mycosis fungoides. Am J Dermatopathol 1994; 16:52-55. 17. Proctor MS, Price NM, Cox AJ, Hoppe RT. Subcutaneous mycosis fungoides. Arch Dermatol 1978; 114:1326-1328. 18. Whitbeck EG, Spiers AS, Hussain M. Mycosis fungoides: subcutaneous and visceral tumors, orbital involvement, and ophthalmoplegia. J Clin Oncol 1983; 1:270-276. 19. Argenyi ZB, Goeken JA, Piette WW, Madison KC. Granulomatous mycosis fungoide-s.Clinicopathologic study of two cases. Am J Dermatopathol 1992; 14:200-210. 20. Price NM, Fuks ZY, Hoffman TE. Hyperkeratotic and verrucous features of mycosis fungoides. Arch Dermatol 1977; 113:57-60. 21. David M, Shanon A, Hazaz B, Sandbank M. Diffuse, progressive hyperpigmentation: an unusual skin manifestation of mycosis fungoides. J Am Acad Dermatol 1987. 22. Lambroza E, Cohen SR, Phelps R, Lebwohl M, Braverman IM, DiCostanzo D. Hypo-pigmented variant of mycosis fungoides: demography, histopathology, and treatment of seven cases. J Am Acad Dermatol 1995; 32:987-993. 23. Sezary A, Bouvrain Y. Erythrodermie avecpresence de cellules monstueuses dansle der-meetlesang circulant. Bull Soc Fr Dermatol Syphiligr 1938; 45:254-260. 24. Ralfkiaer E, Wantzin GL, Larsen JK, Andersen V, Geisler C, Plesner T, Thomsen K. Sezary syndrome: phenotypic and functional characterization of the neoplastic cells. Scand J Haematol 1985; 34:385-393. 25. Vonderheid EC, Bernengo MG, Burg G, Duvic M, Heald P, Laroche L, Olsen E, Pittelkow M, Russell-Jones R, Takigawa M, Willemze R. Update on erythrodermic cutaneous T-cell lymphoma: report of the International Society for Cutaneous Lymphomas. J Am Acad Dermatol 2002; 46:95-106.